To book a hunting or fishing trip with White Horse Creek Guided Hunts, simply fill out the form below and submit it. Your information will be emailed directly to us at dustinearnest450@yahoo.com. We will be in contact with you within 24 hours to discuss dates and answer any questions you may have about your trip. A 50% deposit will hold your dates. No trip can be confirmed until we receive your deposit. Hunt you are booking? 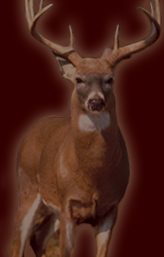 Whitetail Deer-Archery Whitetail Deer-Blackpowder Whitetail Deer-Rifle Turkey Quail Varmint Fishing Undecided-Contact Me Number in your party?